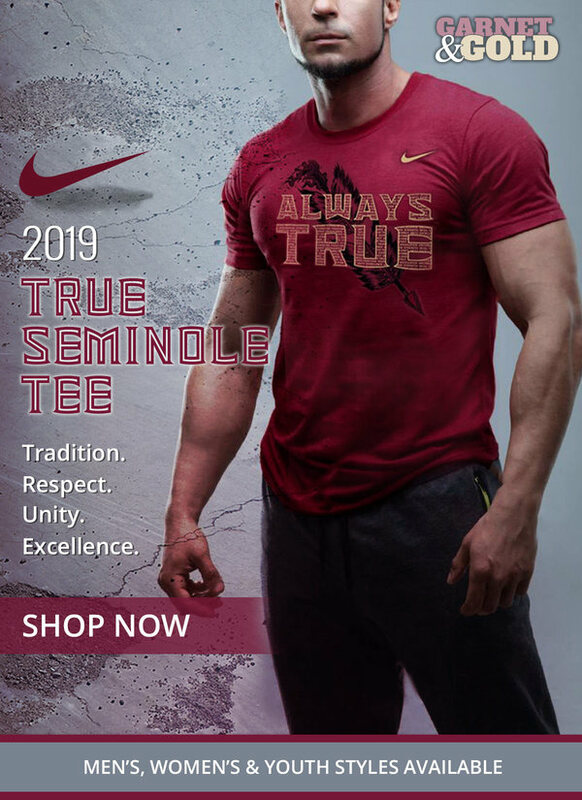 There was a time when Florida State fans dreamed that J.J. Cosentino was the future of the program. After all, it’s easy to see the potential when looking at the guy. At 6-4, 239 lbs., he is the prototypical Jimbo Fisher pocket-passing quarterback. Early on in his recruitment, analysts and fans alike were blown away by his strong arm and thought that he was a diamond in the rough. Cosentino came from a run-first offense in high school and was not asked to throw the ball a whole lot. Nor was he highly recruited, as his other notable offers were from Wisconsin and Penn State. Perhaps Jimbo Fisher got the steal of the 2014 recruiting class? Unfortunately, it was just that. It was telling when true freshman De’Andre Johnson passed Cosentino for snaps in the two-minute drills of the 2015 spring game. Then it happened again in the 2016 spring game. The two quarterbacks drafted onto the Garnet squad were true freshman Malik Henry and Cosentino. When analyzing the strengths of J.J. Cosentino’s game, it’s more about what could be rather than what is. Simply put, Consentino does not have that much college film to evaluate. He redshirted in 2014, threw 11 passes in the 2015 spring game, threw 10 passes last season, and was relegated to just four attempts in the 2016 spring game. However from his limited snaps, we can gather several things. One, he has great arm strength. This has been known about Cosentino ever since the camp circuit as a recruit, when receivers failed to catch his passes simply because he threw them too hard. He had a nice 12-yard completion in the Chattanooga game over the middle to Nyqwan Murray when he rifled the ball, perhaps a bit high, in stride for the freshman receiver. The 2015 spring game shows much of the same. Although the footwork might be a little messy, he showed that he has the arm to make all of the throws required for a pro-style offense. He had several long completions in the game, including the one to George Campbell below. Two, he is more mobile than he is given credit for. He came from a run-first offense and was commonly asked to run the ball. While he has not displayed this ability at the collegiate level, a review of his high school tape reveals that Cosentino has surprisingly good elusiveness for a player of his size. He clearly is comfortable running the ball and knows when to slide and when to push for more yards. As cliche as it sounds, Cosentino really has all of the tools required of the “prototypical” quarterback. He has great size at 6-4, 239 lbs., has an arm that can make all of the throws, and is mobile. If there’s one quarterback on the roster whose talents haven’t fully been displayed, it’s Cosentino. All in all, Cosentino is a project. But he’s only a redshirt sophomore and still has time to develop. He’s entering only his second full offseason in the program and third year overall. This is statistically the year in which college quarterbacks “break through” and have their best statistical season. It won’t be easy, but J.J. has all of the tools to succeed. He just has to learn how to use them. When Cosentino entered the Peach Bowl after Sean Maguire fractured his ankle, many thought it would be his early test to see if he could lead the team in 2016. Well, he failed that test. Cosentino was only in for two series, completed one pass and took two sacks. Not the best showing from a guy you thought would compete for the starting job. Cosentino looked frazzled from the get go. Granted, he was only a redshirt freshman making his first major appearance in college football, but you expect better from a quarterback who has had time under Jimbo Fisher for two years. The game seemed to move fast for him and Houston’s defense took advantage of this, quickly bringing the blitz. They got to Cosentino twice, and both were sacks that were coverage sacks, or Cosentino holding the ball for too long, rather than a busted assignment along the offensive line. A review of his limited opportunities reveals similar things. Going back to the 2015 spring game, Cosentino made some impressive throws, but also displayed poor pocket presence. He held the ball for too long, allowing the rushers to get to him when perhaps there was a check down option available. Much like running backs in pass protection, this is one of Jimbo Fisher’s pet peeves on offense and he was seen berating his young quarterback after each and every one of the “sacks” in the spring game. Although Cosentino has the arm to make all of the throws, he has yet to learn how to use it efficiently. This was displayed in the Peach Bowl, when he missed check down options and receivers. In the 2015 spring game, he also missed some wide open passes and consistently threw the ball where his receiver had to make an adjustment for it, rather than in stride. While Cosentino has all of the physical tools to succeed, it’s what’s in between the ears that has held him back throughout his tenure at Florida State. There are plenty of quarterbacks in this country that have all the physical tools. Quarterbacks that tower over their competition and have an arm that could throw a football through a brick wall. Quarterbacks that are impossible to bring down and will extend the play with their arm. But time after time again, we see these quarterbacks passed for players who might not be the same physical specimen, but who have better knowledge of the playbook and mind for the game. Before he was dismissed from the program, De’Andre Johnson was one of these players. In the 2015 spring game, it was clear that Johnson had passed Cosentino on the hypothetical quarterback “food chain.” Johnson operated the two-minute offense during the game and showed a better notion for throwing the ball downfield, despite having a vastly inferior arm. This was a concern at the time, especially since Cosentino had a whole year in the program compared to the couple of months that Johnson had. We saw that this year again with Malik Henry. There’s no one who would argue with you if you said that Cosentino is physically more impressive than Henry. You’re comparing a 6-4, 239 lb. guy to a 6-3 player who might weigh 185 pounds soaking wet. Cosentino also has a much better arm than Henry in terms of velocity and force on the ball. But, like last year, we saw a similar circumstance occur. Cosentino took the first snaps for the Gold team, but only attempted four passes. When Henry had the ball in his hands, it was clear he was special. The arm talent might not be there, but Henry clearly displayed an acumen for the game that Cosentino just does not have. Henry attempted 22 passes and lead the Garnet team to a tie while Cosentino watched from the sidelines. There are certain things you cannot teach in football. You cannot teach the balance that Dalvin Cook has a running back. You cannot teach the strength that Jalen Ramsey and Derwin James have as defensive backs. You cannot teach the speed that George Campbell and Kermit Whitfield have at wide receiver. At quarterback, you cannot teach the innate feel for the game that some players possess. The playmaking ability that cannot be taught by any amount of film review or practice. This is the one thing that Jimbo Fisher, one of the best quarterback gurus in the country, cannot teach. Jameis Winston has this ability. Malik Henry certainly possess this and Deondre Francois might as well. Ultimately, this is what is holding J.J. Cosentino back. He may have an arm that can spray the football all over the field, but he does not have the playmaking ability of the quarterbacks listed above. And when you have a talent like Henry or Francois on the roster, there is only so much you can do before those players get their time to shine.